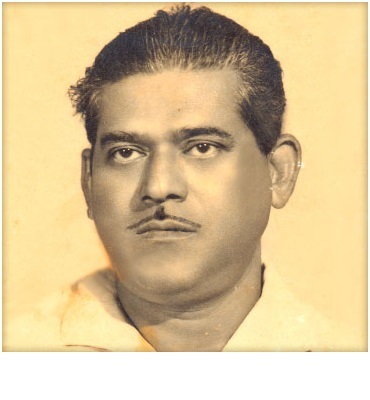 Nitai Palit was the first film director from Orissa to win a National Film award. In 1965 he received the President’s Silver Medal as a director for this film “Malajanha”. Considered a classic in Oriya cinema, this film was based on a novel written by Upendra Kishore Das. This Odia film is a sensitive depiction about Natha Nana, whom sati loves silently. The ending sees Sati committing suicide because of the persecution of the people of her village. The last dialogue of the film is the cry “Sati Sati”, which resonates much after the film is over. Malajanha also introduced the extremely talented woman lyricist, Binodini Devi. The music of the movie was influenced from the Sufi singing of Odisha. Nityananda Palit, better known as Nitai Palit was born in Cuttack on 8 March 1923 to Nagendranath Palit and Sarojini Devi. He completed his schooling in Ravenshaw collegiate school and was interested in drama and music from an early age, theater attracted him. He started his career as a talented stage director and was a regular in winning drama competition. Nitai brought in new interpretations to Orissa theater. Nitai got interested in cinema as a medium of expression and self-taught himself the technicalities of filmmaking. Never did he attend any film institute and was entirely self-taught. He was awarded ‘Best Director’ by the govt. of Orissa four times, in 1973,(As best Director For Bandhan) 1974 (as a Director for Dharatri and Manakash), 1977 (As a Director For Bandhu Mohanty) the Orissa Sangeet Natak Academy Award and Highest honor for Odia cinema Jaydev award in the year 1982. In 1980, he set up his own production house ‘Creative Movies Productions’ and produced two movies Anurag and Raghu Arakhita. He was active until the last. His film “Kichhi Aasa Kichhi Swapna” was in the process of being made when, on 26 July 1990, when he expired due to a massive heart-attack. Indian cinema lost an icon.